Written by the author of the best-selling and very popular TRULY TAN series and jam-packed with hilarious illustrations by Mitch Vane, this is the best-ever series for fans of Wimpy Kid, Tom Gates, Big Nate and Weirdo. Jen Storer’s brilliant Truly Tan series has all the child-led outdoor adventure of Blyton but is truly contemporary and truly Australian. 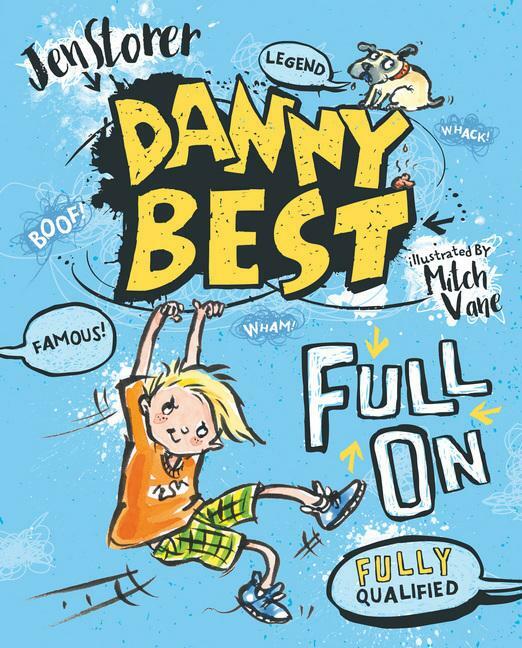 New character Danny Best has all the high-jinx and confidence of Dennis the Menace, but again it’s modern and set in the streets and backyards that Australian kids will recognise. For readers who’ve enjoyed series like Weirdo, this has lengthier text and more complex visual stimulation. Mitch Vane’s energetic illustrations are a real highlight, and with them being so plentiful and Storer’s text just as visual (mashed banana is ‘banana guts’! ), the book is bursting with energy. Danny is confident and has a wild imagination. His is a world of spiders, dog poo and winning races at all costs, and his humour really shines when he writes a story in class about pony club girls getting a nasty scare. If there’s a message in this book it’s this: kids like having fun when they read. Let them. A daft, diverting new series for kids 7 and up.